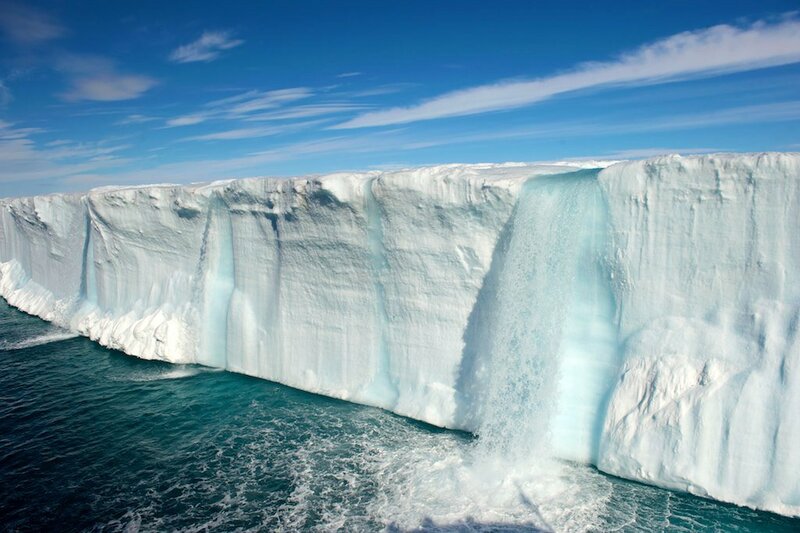 In this jaw-dropping photograph we see glacial waterfalls cascading into the sea. The photo was taken on or near Spitsbergen, the largest and only permanently populated island of the Svalbard archipelago in Norway. Svalbard represents the northernmost part of Norway, located about midway between mainland Norway and the North Pole.